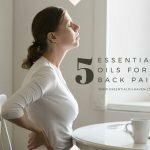 Home » What Are Essential Oil Carrier Oils? 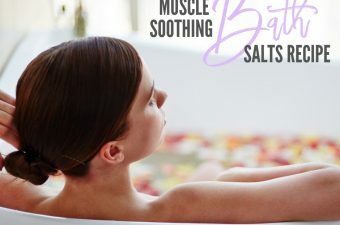 This method of using essential oils topically also has the benefit of combining the effects of the essential oils PLUS those of the carrier oils, promoting smoother skin, relaxing the muscles, and a lot more. There are various carrier oils to choose from and it’s important to know which ones to use for what application. Depending on how often you plan to use a carrier oil, you’ll also want to consider their shelf life. 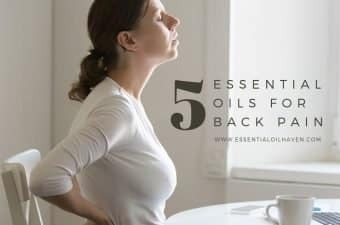 Below is a list of some of the best essential oil carrier oils commonly used in aromatherapy that you can use to mix in your essential oils to have exceptional effects on the body. I’ve included information on scent and texture so you can make your best choice. 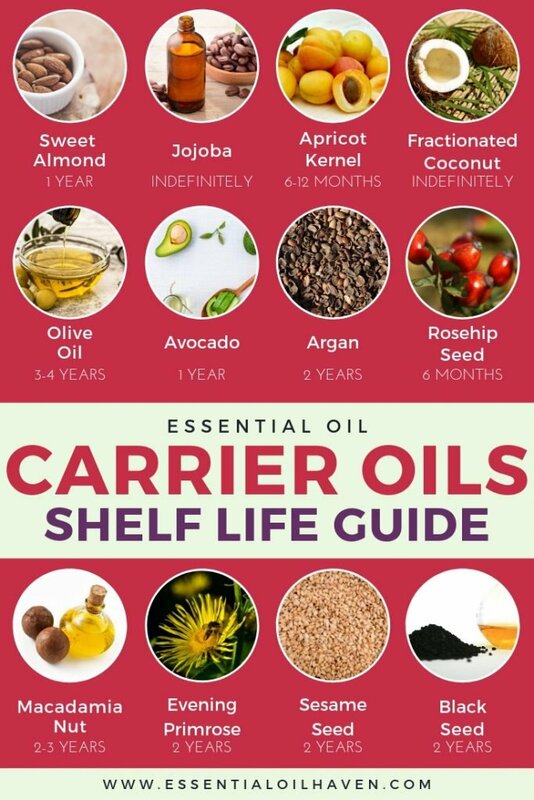 I also talk about carrier oil shelf life, so you know how long these carrier oils stay good for and how quickly you should use them up. Use the carrier oil to dilute the essential oil prior to topical application. You should always dilute your essential oils prior to applying them on your skin. If in doubt, you can also do a skin patch test for the carrier oil you’re considering. Apply the carrier oil to the inside of your forearm and wait 24 hours to see if you have a reaction. Check for redness or itching. To make a basic essential oils blend, combine one fluid ounce (30 mL) of carrier oil with 18 drops of essential oil. This makes about a 2% dilution, which is common and regarded as safe for adults. For children and the elderly, or if you know you have sensitive skin, start with a 1% dilution: 6 drops to 1 fl oz of carrier oil. This could possibly be all you need. Always start conservative! You can always add more essential oils later for a stronger aroma if you find that everything works well with your skin. One last note before we dive in – if you’re allergic to any kind of nuts, be sure to use a carrier oil that is NOT a nut derivative. I personally love almond oil, not only because it’s reasonably inexpensive, but it is also a very light oil, and very easily absorbed by your skin. Its is quite nutritious with lots of vitamins including A, B, D and E. Sweet Almond Oil has a high percentage of mono- and polyunsaturated fatty acids, which makes it work wonderfully for all types of skin. Apply it liberally if you suffer from itchy, dry or inflamed skin. Almond oil is especially useful for a facial massage too, as it helps balance the moisture levels in your skin, helps to improve your complexion, and gives you that special “glow of youth”! Almond oil has a very slight nutty smell, though not overwhelming at all. I find it quite sweet and pleasant actually. 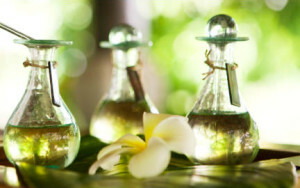 You can of course always add a few drops of your favorite essential oil to personalize your spa-at-home experience. Shelf life: Almond oil stores reasonably well. I wouldn’t go more than a year though. Sweet Almond Oil was the first essential oil carrier oil I bought, and I’d recommend it any day! Coming with a golden color, a lot of people also consider jojoba oil as one of their most favorite oils to use. It doesn’t really have much scent on its own. easily absorbed by the skin as jojoba oil mimics collagen (the main structural protein of the various connective tissues in our skin), making it relaxing to the skin, especially for those who have hypersensitivity, eczema, psoriasis, acne or blackheads. It’s a great carrier oil choice for irritated skin of any kind. There are a lot of ways that you can use jojoba oil. You can use it either as is, or mixed together with other carrier oils (recipes below) to dilute your essential oil of your choice and create your very own blend. 118ml of Jojoba Oil cost only around $13 on Amazon. Shelf life: Unlimited. Jojoba keeps indefinitely. Coming from the kernel of the apricot plant, this carrier oil is known for its pale yellow color. What makes apricot kernel oil so great is that it works well when used for aging skin. It’s also a common ingredient for many cosmetics that can have the price of up to hundreds or even thousands of dollars. Just one or two drops of the apricot kernel oil can exhibit its benefits, providing a great deal of benefit for dry, inflamed, sensitive and even prematurely aged skin because of its content of oleic and linoleic acid, as well as vitamin A and vitamin E.
Apricot kernel oil can leave stains on clothes so be careful. And you can get it for as little as around $8! Shelf life: 6-12 months. Best when kept in the refrigerator. Fractionated coconut oil contains a unique combination of fatty acids with powerful medicinal properties. There are countless health benefits to using coconut oil topically to your skin. Coconut oil comes in both refined and unrefined versions. For use in aromatherapy, you actually cannot use unrefined coconut oil since it sets like butter in the jar and can only be scooped out in chunks rather than a liquid version. Therefore, it is made available in the form of a “fractionated” carrier oil that is smooth, clear as water, with a light oily texture and very useful for aromatherapy applications. Fractionated coconut oil will feel very smooth to the skin, but won’t clog pores. Coconut oil seems to be among the slightly more expensive carrier oils, a bottle of 118 ml is about $14 on Amazon. 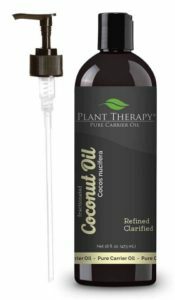 However, what’s great about the Plant Therapy brand of carrier oils, is that this one here comes with a handy pump for the oil bottle, which makes use and application so much easier! Any vegetable oil used for aromatherapy should be cold pressed. occasional ear discomfort, joint pain, support of rheumatic conditions, or hair care applications. Olive oil is one of the emergency oils that you can use if you don’t have anything else on hand. Its scent is sweet and pleasurable, though not completely neutral compared to other oils. Using a small amount of olive oil together with other essential oil carrier oils lets you take advantage of the additional benefits that olive oil can bring, but perhaps avoid the scent if you find it otherwise overwhelming. 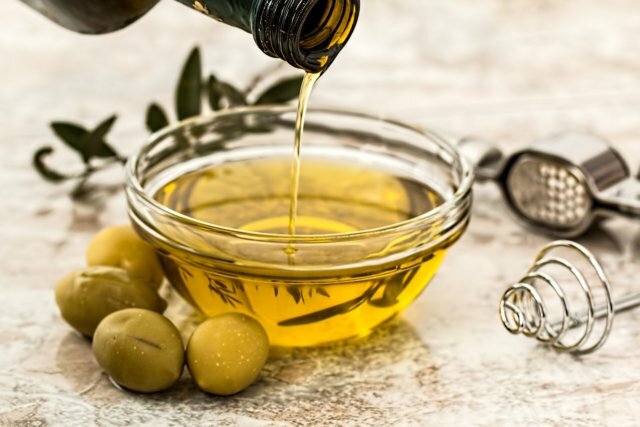 Olive oil contains a lot of proteins, vitamins and minerals that can help the skin grow smoother and rejuvenate the hair’s lost shine and smoothness. However, it is a heavy and pretty greasy oil, so I would use it sparingly. Shelf life: Can last up to 3-4 years, but best in small quantities used up within 6 months. Look for Deep Green Colour in Avocado Carrier Oil. Avocado oil, similar to olive oil, can also be used in cooking or salad dressings. It also has quite a distinctive aroma that may not be everyone’s cup of tea. 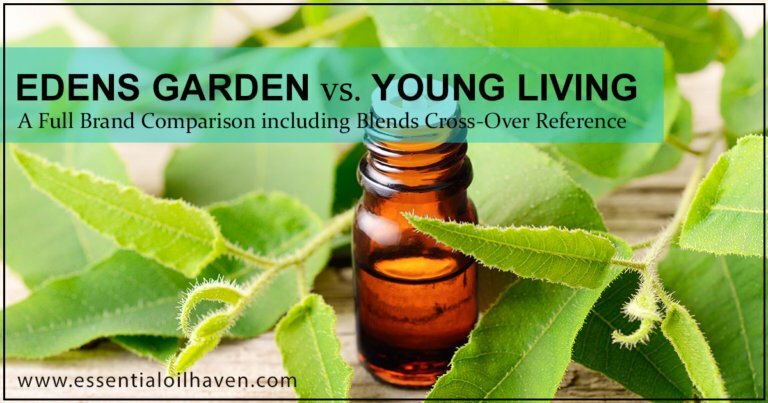 If you’re thinking to use it as a carrier oil, know that is comes in two variations: A cold-pressed, unrefined version that’s deep green in color and the preferred choice for aromatherapy (and cooking); and also a refined version that’s more pale yellow, and used more commonly in the cosmetics industry. Avocado oil is quite thick and heavy, though not overly greasy. Use avocado oil if you’re treating dry skin or wrinkles. It contains a high amount of vitamins and is a good source of fatty acids, which helps it get absorbed into the skin easily. 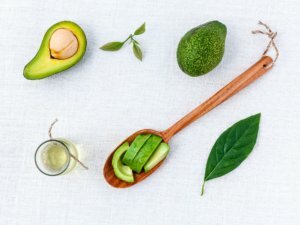 Avocado oil is great to use in a carrier oil blend as it does have strong skin soothing properties, but on its own I just think the scent is too overwhelming. Simply type in your email address and name. I will send you the eBook straight to your inbox, plus you'll be signed up for the Essential Oil Haven newsletter with more fantastic resources for your health and well-being. The smell of Argan oil depends a little bit on the time the oil was harvested. Argan oil is really nice to use on your face as it has restorative qualities for your skin cells. It helps with the skin elasticity, softens wrinkles and fine lines, and restores nutrient content to skin cells treating an array of skin conditions. It is very gentle, yet effective. Argan oil is derived from argan trees of Morocco, which are nutrient-rich, large, majestic trees. Argan Oil is the natural moisturizer your skin needs, and helps to naturally and noticeably soften and heal your skin. 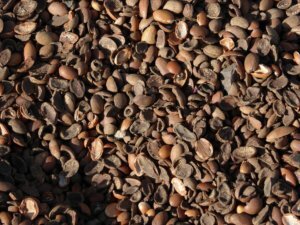 Argan oil has a sweet smell to it, and some batches of harvest can have quite a faint smell to it. It depends a little bit on the time the oil was harvested. Spring and summer harvests have a less deep smell, whereas fall and winter crops tend to smell a little more full-bodied. Overall, to the new nose, it could be described as smelling ‘nutty’. Do not use it if you have nut allergies. Another facial skin care favorite carrier oil is rosehip oil – also known as rosehip seed oil. It is rich in Vitamin C and essential fatty acids, and protects the skin by increasing cell turnover. This aids the cells in your skin to re-generate, which is why some say rosehip oil contains anti-aging benefits. It is excellent for facial wrinkles, tissue regeneration, UV damage, burns or scars. 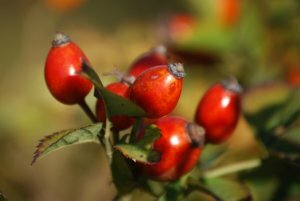 The anti-aging benefits of rosehip oil come due to its chemical structure. Rosehip oil contains many polyunsaturated fatty acids, and when absorbed through the skin, these fatty acids convert to prostaglandins, which are involved in cellular membrane and tissue regeneration. Rosehip has a somewhat particular scent so I advise you to try a smaller sized bottle to start. It also has quite a short shelf life so use it up quickly before it goes rancid. Shelf life: 6 months, then it’ll start smelling rancid or ‘off’. Macadamia Nut Oil is Safe to Use on Babies. Macadamia nut oil is a fantastic choice for a carrier as it contains up to 23% palmitoleic acid, which is rarely found at such high levels in any other vegetable oils. Palmitoleic acid is a common constituend of the human tissue, particularly the skin of infants, children and teenagers, which has a natural youth, glow and elasticity to it. Naturally, these youth-like properties are desireable in any skin care, but particularly when treating aged or dry skin. Given the high content of essential fatty acids, macadamia nut oil has restructuring properties, strengthening the skin’s lipidic barrier and thus improving skin moisturization. If you’re considering Macadamia nut oil as an essential oil carrier oil, make sure you buy a cold-pressed variety. All carrier oils should be cold pressed for aromatherapy purposes. You can keep Macadamia nut oil in the fridge to extend its shelf life. If you have nut allergies, you unfortunately have to stay away from macadamia nut carrier oil, too. Shelf life: 2 years in the pantry, 2-3 years if kept in the fridge. Evening Primrose oil is invaluable for Aromatherapists. It contains high concentration of Linoleic acid and a small percentage of Gamma Linoleic acid (fatty acids). Evening Primrose carrier oil is a pale yellow to golden yellow liquid that is typically cold pressed from plant seeds and also refined to remove some of the stronger scent notes. After application, the skin will have a pretty oily feel to it, so it is best blended into another carrier oil such as Sweet Almond Oil. using, otherwise it’ll be pretty uncomfortable during massage. 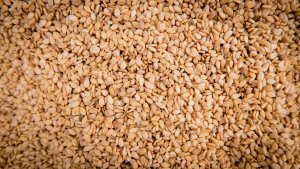 Sesame Seed oil is very stable, and is best used on those with dry or damaged skin. It contains Vitamin E, minerals, proetins, lecithin, and amino acids. It is an almost clear, maye pale yellow liquid that doesn’t smell like much of anything, and is widely used in natural cosmetics as an moisturizing component. It has some inherent heaviness to it though, so use Sesame Seed Carrier Oil in combination with Evening Primrose or Rosehip Seed oil. This combination can help relieve eczema, psoriasis, rheumatism, arthritis, and will nourish and soften all skin types. Sesame oil is rich in essential fatty acids and helps to maintain integrity of skin tissue while restructuring and moisturizing the skin. Its potent antioxidants are beneficial for reversing skin aging, increasing skin glow, and strengthening, conditioning and moistirizing skin and hair. Warning: If you have and kind of nut allergies, do not use sesame seed carrier oil. 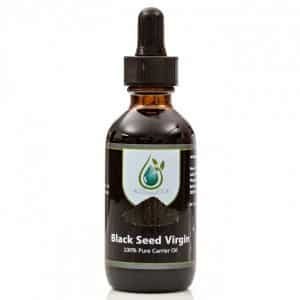 Known as “the healthiest oil on the planet”, black seed virgin carrier oil is one my newer discoveries in carrier oils. It is also known as Black Cumin Seed Oil and extremely high in essential fatty acids, about 70-80%, which is comparable to Evening Primrose Oil. Shelf life: Approximately 2 years. The Clear Complex carrier oil blend contains Grapeseed Oil, Hemp Seed Oil, Evening Primrose Oil, and Vitamin E Oil. If you have a good nose, you can definitely pick out the slight hemp seed oil smell. It’s very well balanced though and together, these amazing oils create a smooth scent. As a power pack, they will help your oily skin become healthier and blemish free! Use this blend as your daily moisturizer for oily skin. Even oily skin needs moisturizing after daily exposure to the elements. Apply carrier oil (and any other essential oils you wish to add), directly to a clean face 1-2 times a day. Here are some amazing essential oils for skin care. DermiSoothe works amazing on reddened, rough skin. The five carrier oils in this blend are combined to help soothe your skin, and smooth out the parts of your skin that are blemished. For example, if you ended up with too much sun, windburn, winter chapped skin, or skin that is rough or red due to dietary intolerance, this carrier oil blend is for you! Apply topically on the affected areas as needed throughout the day. DermiSoothe Contains: Almond Oil, Apricot Oil, Jojoba Oil, Avocado Oil, and Vitamin E Oil. The Near Perfection carrier oil blend helps reduce the appearance of skin imperfections and marks. Its revitalizing blend of 5 carrier oils include Almond Oil, Jojoba Oil, Avocado Oil, Tamanu Oil, and Vitamin E Oil. Tamanu oil is amazing on its own, whose oil is pressed from the dried kernel of the fruit of the tamanu tree. It does have a somewhat strong earthy, nutty scent, but it’s definitely something I love that about this carrier oil! For achieving best results, use this blend two times daily on the affected areas. For 3-5 minutes, massage it on the areas that need it, gently, but thoroughly. You may need some patience here with yourself and your skin, as improvements may need weeks before they become visually noticeable. This blend comes in three sizes for your convenience: 2 oz @ $11.95, 4 oz @ $14.95, and 16 oz @ $32.95. Once you’ve found your favorite(s), just order the big bottles like I do! Use an essential oil carrier oil to dilute your essential oils before applying them topically on your skin. When it comes to caring for the skin on your face, more rules apply than on other parts of your body. You really have to take into account if you have very sensitive skin, or sensitive areas of your skin. Some people have specific needs for the so-called “T-Zone” on your face, which includes forehead, nose and chin. Argan oil and rosehip oil both work great for use on your face! Not Sure Which Carrier Oil You’ll Like? I get like this all the time. I learn about all the options and then I think “well, now how do I know which one I’ll like?” I suggest you start with the Sweet Almond Oil. It’s very neutral, soft, and I find it very soothing. 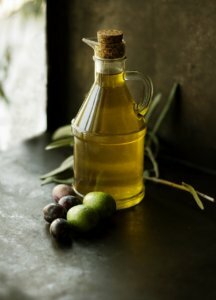 If you’re in a pinch, you can use olive oil as a carrier oil. 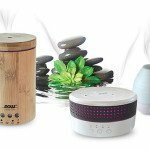 I love using essential oils in my diffuser, but it is often overlooked that you can also apply essential oils topically. With all topical applications of essential oil, you should always dilute the essential oil with a carrier oil as to avoid possibly burning your skin. This is especially true if you already know you have sensitive skin! So carrier oils are forgotten or overlooked. 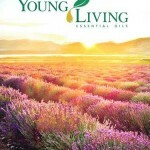 Essential oils do have their benefits but combining them with carrier oils just stacks their benefits. Choose any of these carrier oils and see how wonderful the effects become! In essence, you probably want a carrier oil that is almost scent-free so that when you mix it with your chosen essential oil, all you smell will be the essential oil. On the other hand, you might like to go for the added health and beauty benefits of the carrier oil itself in your application, so your oil of choice may vary a bit. It’s best for you to try the different carriers and decide for yourself which one(s) you like to work with. Combining these two oils is a match made in heaven – they have been used together for years. When combined, an almond oil – jojoba oil mix has qualities nearest to your own natural skin oils, making the mix suitable for most skin types. Use this combo for massages, moisturizers, or cleansing creams. The typical ratio to use is 3/4 parts almond oil and 1/4 part jojoba oil. If you’re measuring by teaspoons for example, that would make 3 tsp almond, 1 tsp jojoba. If you’re mixing larger quantities, scale as needed. Then, add essential oils. A quick and easy option is to buy a pre-made carrier oil blend that is balanced to achieve certain things. 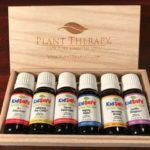 Plant Therapy carries some really nice carrier oil blends that I can definitely recommend. They all have a balanced aroma and aren’t too strong on any scent note. They come in handy containers with a squirt lid – or if you get the larger bottle size (16 oz. and up), it includes a hand pump for easy dispersion of the oil. We use our carrier oil blends in this house daily. I even had some pre-mixed bottles of massage oil made up with the carrier oil blends. I love them! What do you think? Do you like to use carrier oils? Share your thoughts in the comments below! Thanks for reading, sharing, and participating in our discussion. 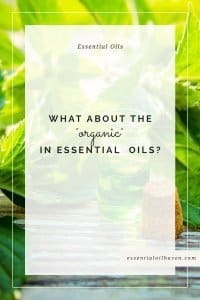 Previous Post: « What About the “Organic” in Essential Oils? Argan and Rosehip are supposed to be great for facial carrier oils, probably combined with jojoba. is it possible to use only the carrier oil without essential oil? now im using rosehip carrier oil,without essential oil. 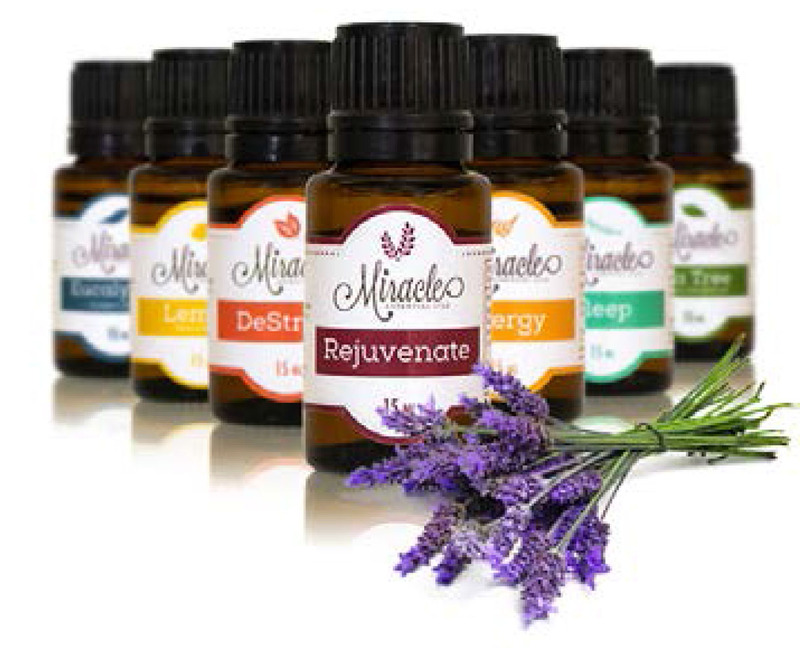 Hello Mira, certainly you can use carrier oils without adding any essential oils. Most carrier oils have health and beauty benefits already all on their own. 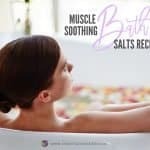 Use them as massage oils or other skin moisturizers. In one book I’ve found on aromatherapy it says that coconut oil is not recommended for a carrier oil because it has large molecules that interfere with the skin’s absorption of essential oils but have seen lately more people using it as a carrier could not find (as of yet)anything else online saying it is not a good choice. wondering what your thoughts are and what information you have come across on that. I also like almond but does not seem to last as long as others although I have heard that adding jojoba to other carrier oils extends their life haven’t tried yet. Hi Charissa, thanks for writing. As long as you use fractionated coconut oil (in liquid form), I don’t think you should have a problem with the absorption of essential oils. Perhaps your source refers to coconut oil being not as effective when left in its natural state (hardened), I really don’t know. To my knowledge, coconut oil is great for a carrier oil and has many additional skin care benefits. Can you put essential oils in a hand or body lotion? Hi Ellen – Absolutely, I do it all of the time. Carrier oils are a bit more of a pure form for a base, but if you have a body lotion you prefer, by all means, mix the essential oils in with them. Sherry, Castor oil is definitely a good deep-penetrating mositurizer. You need to try out what works for your skin, it’s not a one-fit-all answer. Rosehip oil would be my next favorite oil for you to try as it is fantastic on many skin types as well, and I find it smells amazing, too. Hope this helps. So can I use olive oil to mix with essential oils to make a roll on bottle ! I have that already in my pantry . Hello. I really have enjoyed reading your article’s! 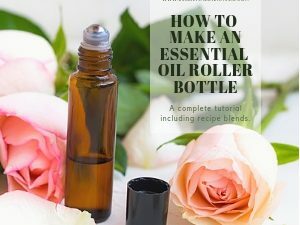 I am new to essential oils and I am curios as to how much carrier oil I should mix in my roller bottles? 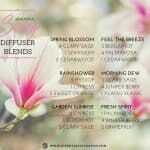 I recently purched the blended Breathe and Anxiety essential oils from Edens Garden. I just want to make sure I dont put to little in or to much. Hi Theresa. Thank you for your question. Most roller bottles are a 10mL size. The first thing I’d say to you is, check the size of your roller bottle. Then, basically fill it almost to the top, and add your essential oils. For a 10mL roller, add 2-4 drops, which makes a 1%-2% dilution rate. This rate of dilution is very safe, and a great place to start. 2% is appropriate for daily use for most adults. 1% is recommended for children 6+, or the elderly. If you’re an average, strong, healthy, adult, you can also up your dilution rate to 3-10% (which, in a 10mL bottle, would be up to 20 drops of the essential oil), but that is best only used short term or for a temporary issue. Hope this helps! I have seen many DIY essential oil face creams and would like to make my own. What is the ratio for the carrier oil and then several other essential oils, i.e., jojoba oil or apricot oil as carrier, then add rosehips, frankincense, patchouli, argon, myrrh, etc. I’m 76 with great skin and little wrinkles. Have been using ACV for years as a toner, as it keeps the face on a perfect pH level. What is ACV please ? Hi Peggy, yes absolutely you can use avocado oil as a carrier oil, it is very nourishing and great for aged or dry skin. It does have a very strong scent on its own though so just be aware of that and make sure you like it. It’s also quite thick and sticky so if you have multiple carrier oils available at home, mix it 10% avocado oil and 90% sweet almond or jojoba oil for example. That way, you can still get in the benefits of avocado oil without it being too overpowering. I bought some avocado oil from Sams, its not organic, but it is very light with no smell at all. I have only use it for cooking. Love it for salads. I put some on my hands to see if was sticky and it wasn’t. I’m going to try it as a carrier oil. Any response would be appreciated. Hi, I have heard and read you should let the mix of oil with the carrier set up for 24-48 hours. I will be using citrus with fractionated coconut oil for possible virus infection. Thanks for your input!! Hi Sai – use 3 parts sweet almond oil and 1 part jojoba oil to start. That’s a typical ratio. You can adjust as desired but start with more almond oil than jojoba. Can vitamin E oil be used as a carrier oil ? what carrier oil is unscented? I have asthma and I don’t know which one to mix with my health shield and breathe essential oil. Hi Janice. Personally, I think Sweet Almond Oil is very, very light in scent (almost unscented) and I could definitely recommend that one to you. 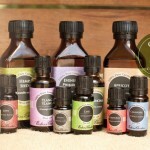 These essential oil carrier oils will be 100% natural oils and won’t have chemicals or other artificial “scents” in it. Not that I’m an asthma expert at all, but I would imagine that natural products are likely better for you? If you prefer though, you can also use an unscented body lotion to mix your oils into as well, like this one here Everyone Body Lotion, Unscented, 32 Ounce, $10.51. Is fractionated coconut oil, Argan oil, neroli essential oil and sandalwood essential oil mix good for acne scars? What else would you recommend for acne scars? Hi Minahil – I used to have acne scars, and mixing 2 drops of helichrysum oil in my facial moisturizer every morning has faded them away. I use Cetaphil moisturizer, but try it in your favorite. Both sides of my face used to have dark spots all over, and now they’re as clear as can be. It also faded a big age spot I had on my brow. My facial skin looks better than it has in years! I’m 52 years old, btw. I am so thankful for finding Eden Gardens essential oils. Thus far, they are great in my eyes and affordable for my pockets. 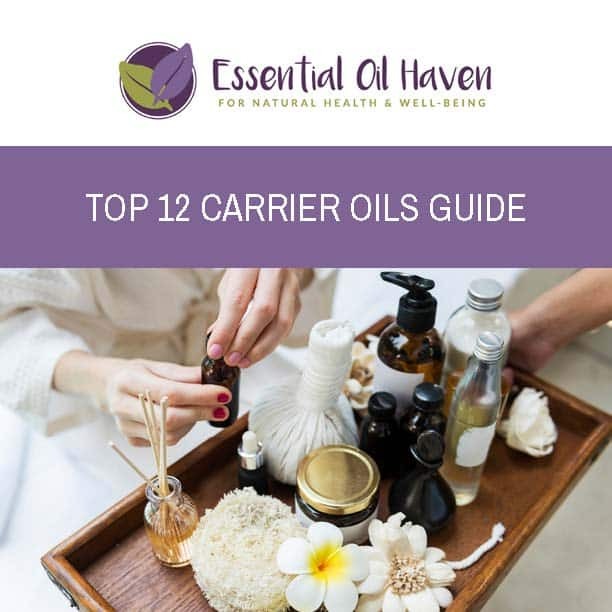 What is the most suitable carrier oil for orange and frankincense essential oils? I would like to use frankincense for massaging my mom’s abdomen (she has fallopian tube cancer that has spread to the peritoneum) and orange for helping her relax. Greetings. I have bruising occasionally on my arms and hands from delicate and elderly skin. I blended geranium essential oil with a good base unscented body lotion and massaged it onto my bruised arms twice a day, and in 3 days my horrible bruises we’re GONE and no shadow bruises remained (the shadows that sometimes remain where a bad bruise has been)! Totally clear and unnoticeable in 3 days is like Majick! I wanted to share this. Thank you. Hello! I recently had laparoscopic surgery and have scars on my stomach as a result. I have lavender oil and olive oil but I am confused as to how I should be mixing them for the scars. Can you help explain how to mix them and what ratio to use? I was told that Mustard oil is one of the best carrier oils for diluting essential oils, for using them to reduce pain and inflammation. Any thoughts and suggestions on this? I am thinking about using essential oils for topical applications. Can they be added to a favorite unscented body lotion? I like the Aveeno brand. Hi Brenda- yes you can certainly add the oils to your Aveeno lotion! It doesn’t have to be a carrier oil- they are just nice and clean and have nothing else added that the oil could react with. I need a mosquito repellant for my kids that get eat up while outside. They both also have sensitive skin. I have got lavender, lemon eucalyptus, peppermint, and I think my Citronella is on it’s way. Could you give me some advice on how to mix them and if I can use it in water to spray on them or their clothes!!???!! I would greatly appreciate any help, thank you!!! Hi Shelly, thanks for your question. Please have a look at my article here to help you make mosquito repellent at home 🙂 How to use essential oils as mosquito repellent. I recommend witch hazel as a base since it adds further anti-inflammatory properties to the mix, but if you’re in a pinch, you can definitely also use water! I just bought my first bottle of essential oil! I’m excited to get some sweet almond oil now and give this a try! Your website was very helpful ! Thank you!! 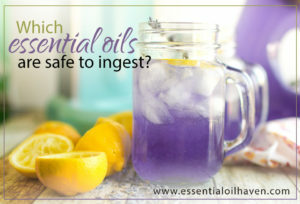 Hi Valerie, please have a read through here: Which essential oils are safe to ingest?. I hope that should answer your questions! 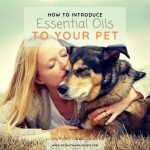 I’m new to EO’s so I have a quick question. I purchased an EO necklace and am thinking about getting the EO ring. Is a carrier oil nescessary to make the EO last longer, or since it won’t be directly on my skin, is it not necessary? Thanks! Hi Stacy. I also have an essential oil necklace and it came with leather pads where the oils go on directly. Some products come with felt pads for the oils. Does yours have anything like that included? In either case, no, don’t use carrier oils with jewelry. The carrier oils are used only for application of essential oils onto your skin, where they need to be diluted. 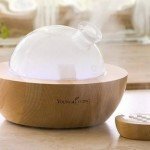 Don’t use carrier oils in diffusers, either. Hello. Lavender oil is NOT a carrier oil, it is an essential oil. 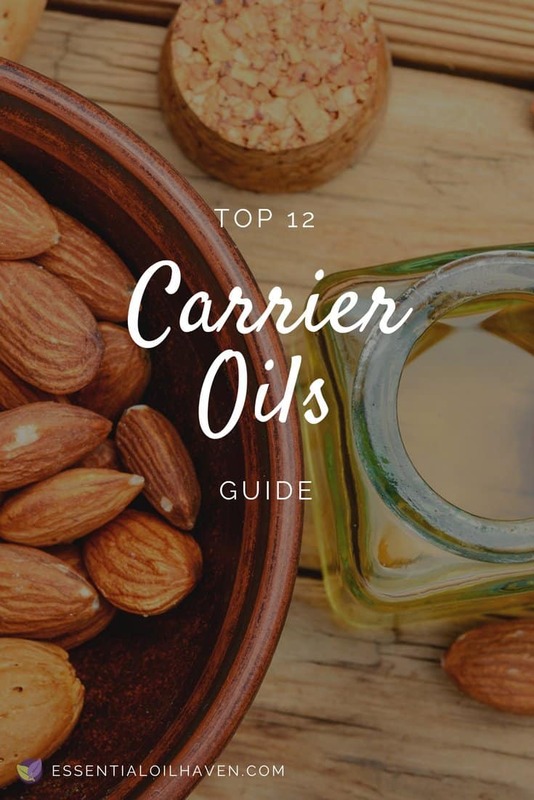 Carrier oils are for example Jojoba Oil, Sweet Almond Oil, Apricot Kernel Oil, and more that are listed in this blog post above. Personally, I like Rosehip oil or Sweet Almond oil as a carrier base. If you’ve never used a carrier oil, start with Sweet Almond oil as it doesn’t have a very strong scent on it’s own. It’s also almost ‘sweet’ smelling and pairs well with lots of essential oils. Your information is so informative and I learn so much from the other people. I have the bruises and I’ll try the geranium oil. Thankyou! What carrier oil do you recommend to mix with peppermint oil – for facial use. I have sebaceous hyperplasia (?) and read that mixture helps. Hi Carol. Thank you for your question. I had to research your skin condition a bit more first so I could more accurately help. I’ve read this article from the Earth Clinic, and after reading that, I would personally use Apple Cider Vinegar (ACV) as your dilution base, for your condition specifically. I’d try putting ACV on a cotton pad, then add a drop of Peppermint or Lemon essential oil, and apply to the affected area. 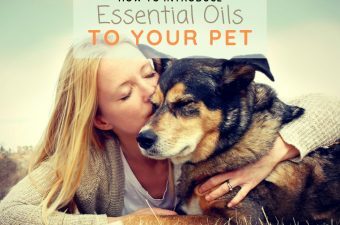 I am just starting to use essential oils and this blog was filled with great advice and information. Thank you so much for being so helpful. Will Definately keep in touch as I progress and try all your recommendations. Thanks for the great info! I am expecting my first order of essential oils tomorrow and looking forward to all the benefits. I will definitely keep your article handy for future reference. purchased 1,literature,Jojoba oil,and1/2 literature,or,(500Ml).avocoda oil,and250Ml Tea tree essential oil,and250ml,,Rosemary essential oil,from KAZIMA Perfumers,Delhi.and at Amazon,15ml each Orengeoil,peppermint oil,Sandiel wood oil,250 Ml,ExtraVirgin olive oil and coconut oil,please tell me How to mix ,when to mix,these oils for my hair and face. Is there a shelf-life with these oils, and does it change when mixed with carrier oils? Hello, I’m looking for migraine relief. How do I get started without spending a bunch of money before I know if it will work? Does it come with directions on how to mix, and put into a bracelet? Help. What would you recommend for someone with severe food allergies? I’m anaphylactic with peanut, tree nut (inc coconut), and avocado. Should I just stick with olive oil? Is there a certain grade to use if using it as a carrier versus cooking? I use sesame oil (NOT toasted) for oil pulling. I have also found it is wonderful as a carrier oil and works great for aging skin. It is supposed to help replace the fatty layers that thin out for post menopausal women. It also has some antiseptic and antibiotic qualities. Women in India put a small amount on the tip of their fingers and swipe it in their children’s nostrils before school to prevent the spread of colds and viruses. I have been doing this for years and find that I do not get sick as often. I also have used it for dry hands and as a replacement for facial moisturizers. I am sorry, I forgot to say that the toasted sesame oil smells and tastes very strongly. I would also assume that the heating process also destroys some of its healing qualities. The raw cold pressed sesame oil, however has a pleasant taste and scent. Not over powering, like the toasted oil! Hello! I would like to use a good carrier oil to use either rosemary or cedar wood on my scalp to reduce hair loss and promote new hair growth! What would you recommend? Also are those the correct types of essential oils to use? Thanks. Just started using essential oil for my family health problem. Found your blog is very helpful to understand more about essential oil and carrier oil. Which carrier oil has either no scent or a faint scent. This is for making hand lotion so not staining would be important, also. Hi Kathryn, I would give Fractionated Coconut Oil a try. It is as you describe, almost scentless and doesn’t stain. It also has other properties that are great for skin care – an additional bonus! You are amazing, every unspoken question I had been looking for has been answered and I learned far more from your site than I have from any other site as well. I really appreciate the thorough breakdown on everything, the links and the comparison charts! Thank you so much for sharing your time and hard work, you put a major amount of detail into this! Dear Amy, Thank you very much for your kind comment! I am thrilled to hear that my passion for sharing the knowledge around essential oils has helped you in your life! Thank you also for putting this into words, and posting a comment – it’s amazing for me to hear this kind of feedback from people around the web. Hi. Can we use palm oil as base oil to male essential oil? LOVE this site and this very informative thread. Thank you, Emma! Presently I have an aromatherapy burner—-Blomus CINO—-I put water in the top bowl and then add 7-12 drops of essential oil, lately it’s Sandalwood or Cedarwood oil to disinfect the air, a tea light candle lit underneath and it’s delicious light smell as it evaporates cleans the air of mold spores and toxins. I can’t wait to try the ACV as a toner—-and the rosehip oil, too! I am sure its been already answered but I did not see the answer to my question. Can you use food grade oils as carrier oils. For example grape seed, avocado, or olive. I was thinking of just getting a bottle at the grocery store. Hi John. Yes for sure, you can use regular oils out of your cupboard to get started. However, most considerations are against the smells (olive oil for example has a pretty distinct smell on its own, as does avocado oil), and some other carrier oils like Jojoba or Rosehip have additional awesomeness properties that are good for your skin. But take the example of coconut oil- we have one in our cupboard for cooking but regularly also use it for skin care. It’s whatever you like and are comfortable with! Thanks Emma for the tips. Great to hear. What essential oils should I mix with jojoba oil? I have some acne scars and combination skin. I make hemp necklaces and want to make them with essential oils rubbed into them. 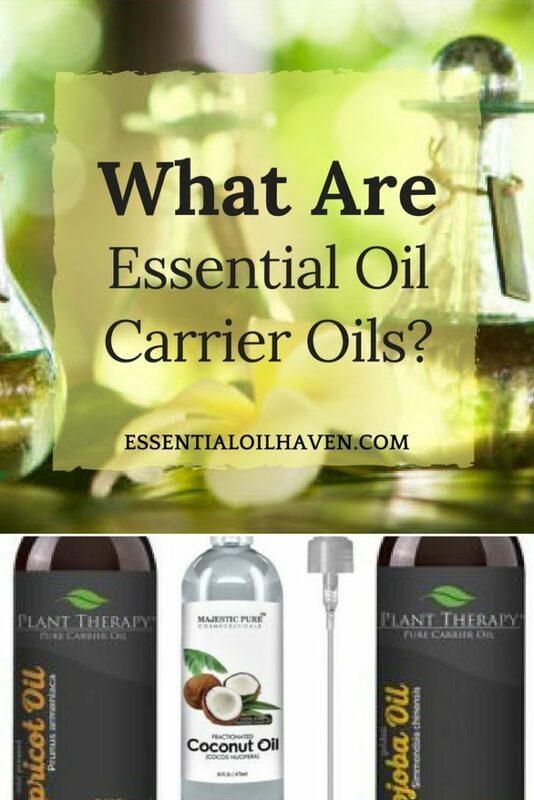 What carrier oil would be good to mix with the essential oils? Since, the necklace is directly against the skin, the ess. oil by itself may cause irritation. I need a carr. oil that’s light, not very strong smelling and won’t stain clothing. Can anybody suggest something? Thanks. Lisa, I would try sweet almond oil or fractionated coconut oil. My husband suffers depression and anxiety. Is there an oil that can help him? Geranium oil has a sweet scent, and this sweet scent helps to calm the mind. In ancient Egypt this oil was used in medicine for reducing stress. Also is used for eliminating bad memories and negative emotions. Geranium oil has antidepressant properties, two main properties are linalool and geranyl acetate. Molecules of the oil are transmitted to the brain through bloodstream. Hi Emma!I am new with these OIL thing. Can i combine argan oil,castor oil,sweet almond oil and rosehip oil all in one bottle as a facial oil? And what would be the ratio? Im afraid of trying expensive moisturizer or cream in the market and i only want natural remedy to my skin problem…dry, fine lines, dark spots on my face ( dark spots after i had warts removal few years ago).. Im 37years old. Don’t quite understand what a “smooth scent” or “particular scent” means. Also, no mention of Castor oil’s ability to lengthen eyelashes. Yes, for real. Need more info but thanks for the article. I have nail fungus on one of my toes and I read somewhere that Teatree oil and apple cider vinegar will help remove it. do I need to use a carrier oil with that mixture of tea tree oil and Apple cider vinegar. Can you tell me what the mixture ratio should be for those two if I don’t need a carrier oil . I have the same problem and would love to get the answer to your question Fran. Have you used it and did it work? I use almond oil for my skin for a long time.,. I will add jojoba Oil and try the mix. I think this would be perfect match for my dry skin. Thanks for the post! Is organic aloe Vera gel a good carrier to make an insect repellent lotion? Hi Kim, thanks for your question! Yes you can add Aloe Vera into your bug repellent lotion but I wouldn’t use it as the sole carrier, as it would come out pretty much still like a gel. Check my recipe at the bottom of my article here and add 1-2 tbsp of your Aloe Gel to it to stack up the cooling and soothing effects of Aloe Vera as well! What is the best way to use the On Guard oil ? 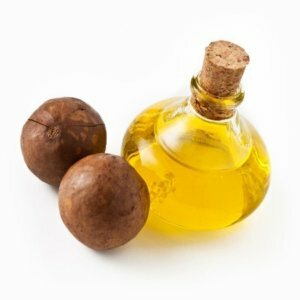 What is the best carrier oil to use? Thanks for the article. Sweet almond oil is mainly used as a carrier oil because it contains antioxidants and helps to keep your skin nice and soft. I am trying to make a roller ball for my 4 year old, to use at school when his eczema is flaring up. Will just the carrier oil + essential oils work for this purpose? I’m thinking of blending either Almond or Coconut with Jojoba, and then adding some Lavender and a tiny bit of Tea Tree. We also use a thicker salve at night, that uses coconut oil and Shea butter. Hi Katie, thanks for your question! 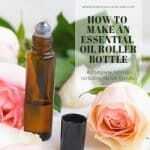 Yes, make your roller bottle with just carrier oil + essential oils. That’s how all roll-ons are mixed. I like your choice of essential oils but I would recommend blending carriers with just a bit more punch for eczema. Jojoba is great, but I would add evening primrose oil. Start with 60% jojoba and 40% evening primrose, and then personally I’d start leaning that towards a 50%/50% mix if it’s working and you like how it smells and feels on the skin. Please note that sesame oil is also great for eczema skin conditions but it is a bit heavy so possibly not the best in a roll-on. Also, it also smells strongly and in your case, it’s possibly not allowed in schools because of nut allergies.